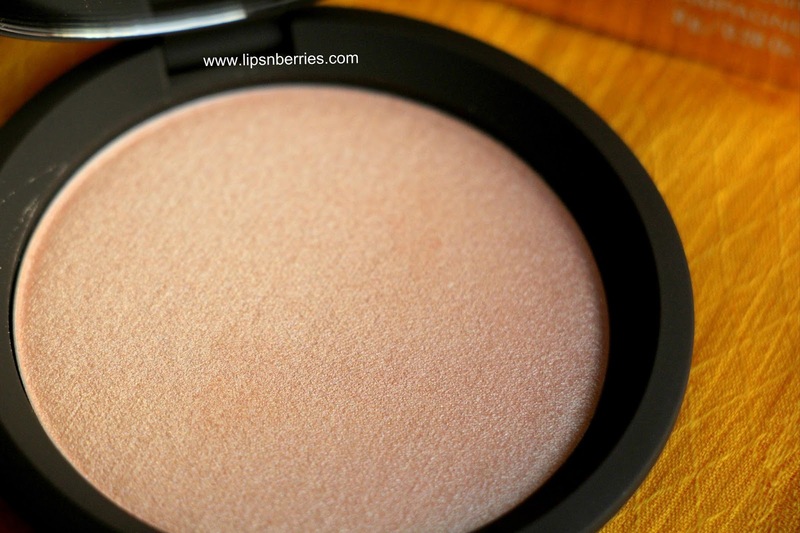 Becca Cosmetics Illuminating Skin Perfector in 'Champagne Pop' -Highlighter Review | LIPS n BERRIES! Highlighters are my thing. I don't mind glowing like a disco ball. Disco balls are my thing! Having dry skin means I love a slick looking face. To me it looks healthy. Like you're human you know. So when you have skin that's scarce on oils..you fake it! And fake it like a disco ball. 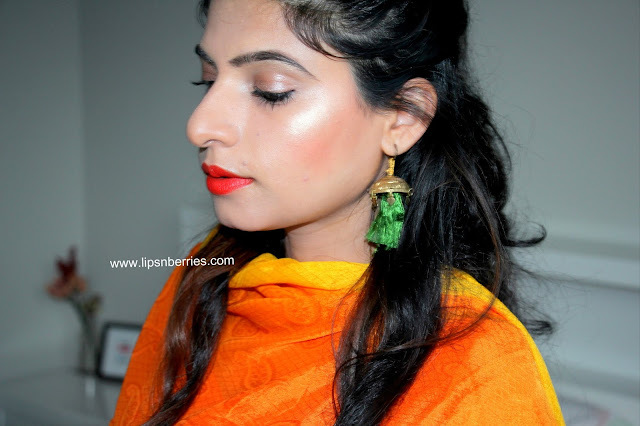 If there's one makeup item that takes my makeup next level, it is a highlighting powder (Ok..lipstick is pretty close. but you get the drift right?). There's one highlighter that literally took the makeup world by storm late 2015.. Becca Cosmetics Shimmering Skin Perfector in Champagne Pop. You can't be called a makeup enthusiast if you don't know about this one. Everyone raved about it, everyone rushed to buy it. I waited and waited...for the hype to die down. It didn't. The fan base was ever growing. 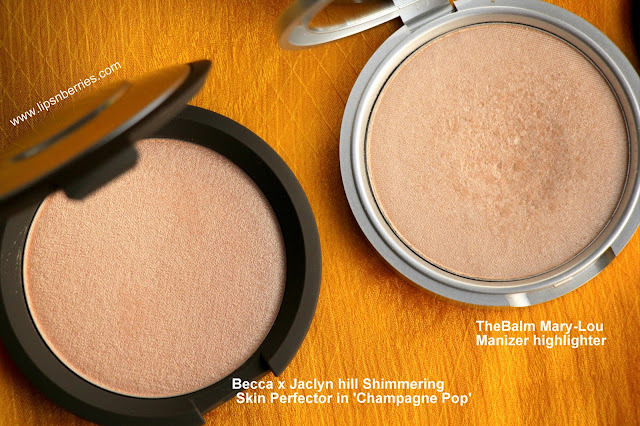 This Jaclyn Hill collaboration easily took Becca Cosmetics to new heights. Heck! there's people like me who knew nothing much about Becca and now they are all over it. So one fine day in Feb 2016, a few days after my birthday, Sephora NZ had a free shipping day. Who doesn't like saving a whooping 25 wasteful dollars on shipping? So I asked Sunshine (hubby!) if he'd like to give me a belated b'day present since there was nothing makeup related in my b'day gifts (ok they were all plants but whatever). He said why not! A $60 highlighter ($78 NZD on Sephora now)...ummm.. OK. A man who loves spending big can never say no to a frugal being like me. If I decide to put my money into something, he knows it will be worth it! I'm a calculative spender. Emotions don't count. So this highlighter came into life. And boy o boy! I regret all those months I took to decide this purchase. WORTH EVERY CENT! 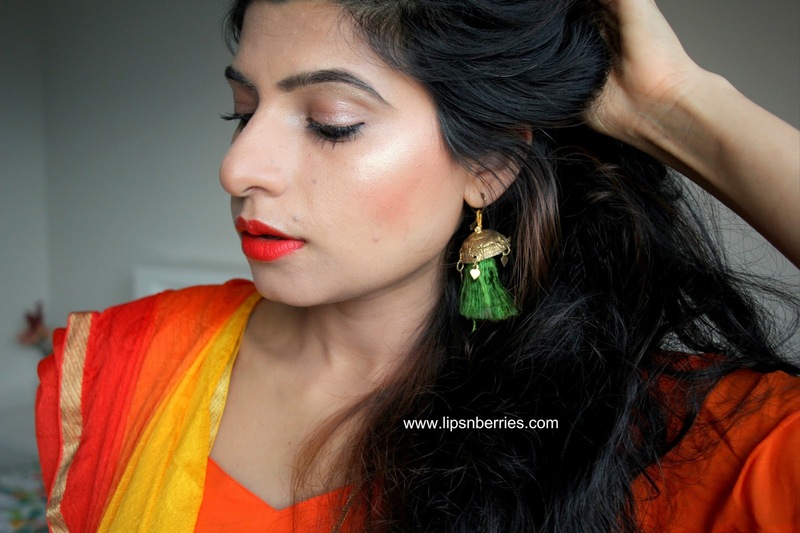 Easily the best illuminator of medium ethnic skin. 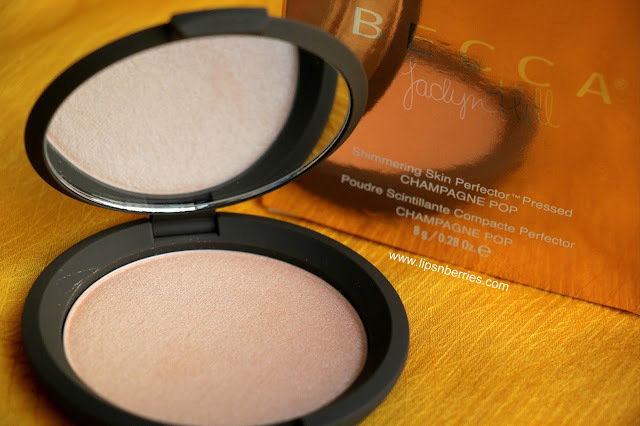 This champagne colored, finely milled pressed powder is smoother than silk and goes on like a dream. It's so intense that you have to learn how not to overdo it because YOU WILL OVER DO IT the first time you use it. I have used it regularly all these months, for both day and night events and it's been stunning no matter what light. A golden glow that is noticed from a mile away (not literally!). I'm not sure how it'll work with very fair skin as it's quite pigmented. 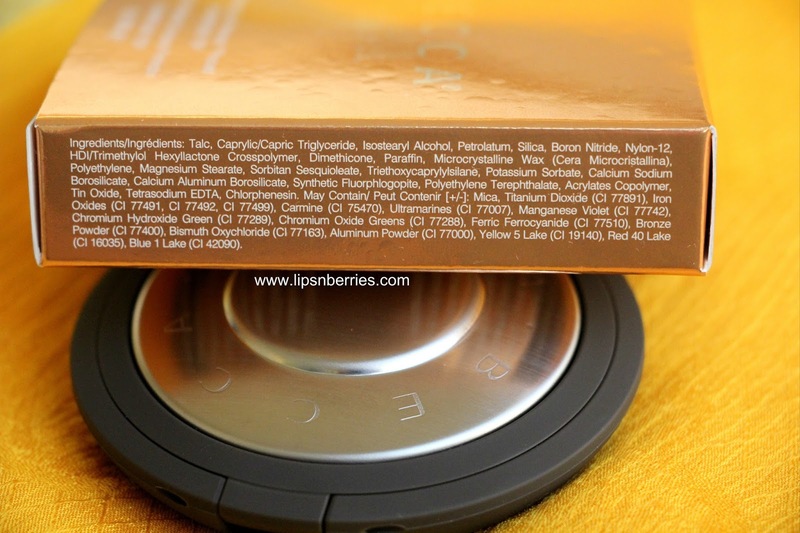 Becca does have more highlighting powders in its kitty like Pearl, Moonstone & Opal which will be a better fit for Cool Fair skin-tone. I have Medium Warm NC 32-ish skin-tone. Its perfect on me. 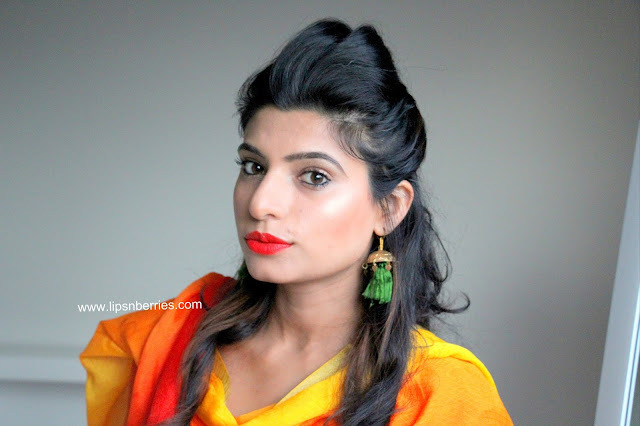 I put some under the eyebrows, on top of cheek bones, bridge of nose and in cupid's bow. 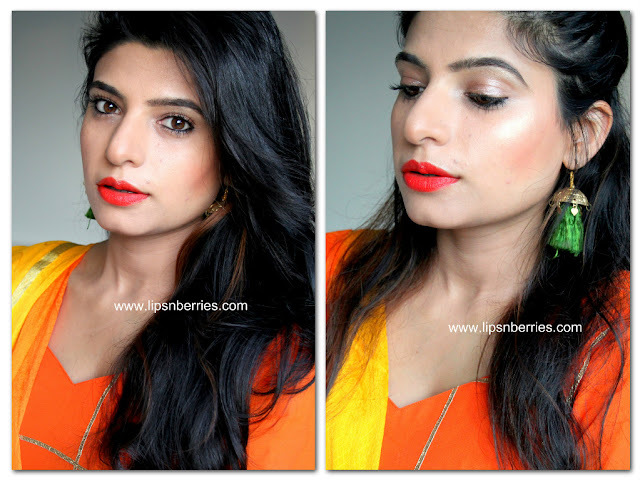 Its quite intense to be used all over face for an illuminated skin. It's gorgeous as an eyeshadow too but shouldn't be layered too much. I have put some on my eyelids too! I have no complaints with this highlighter. $70 like a lot but I'm 100% certain I can't finish this one in my lifetime. I've barely scratched the surface in last few months. 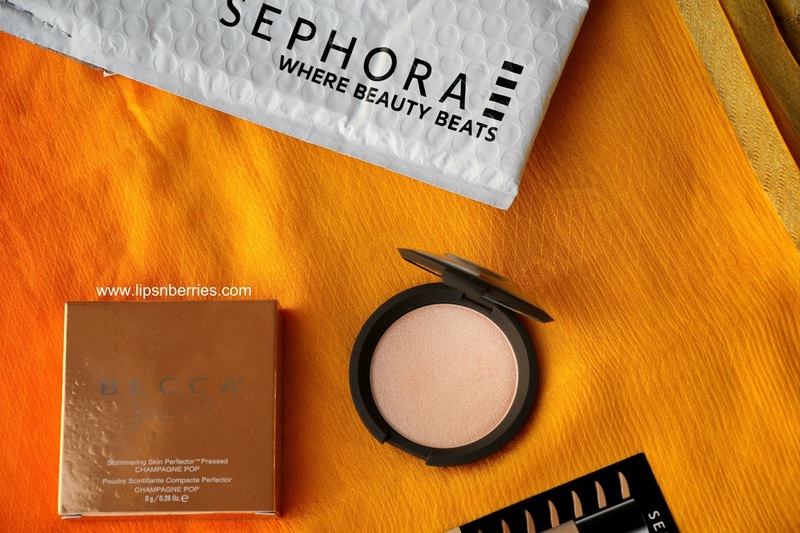 The packaging is signature Becca style with a sturdy matte brown case and enclosed mirror. I actually find the compact very basic looking as compared to the magic that's inside. It almost doesn't do justice to it but it's sturdy so I'll take solace in that. 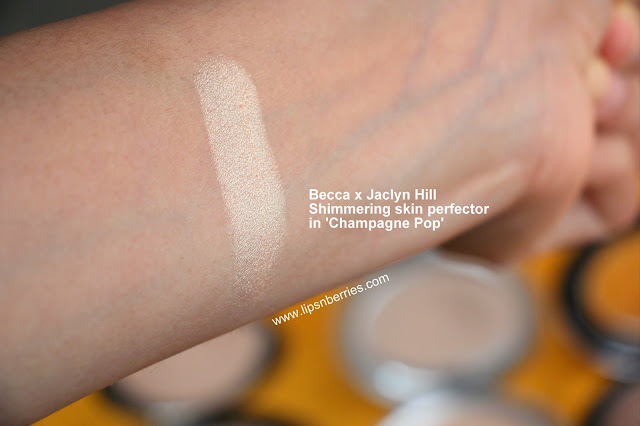 I wish the casing was more glittery or white on gold like the Becca x Jaclyn Hill Face palette. 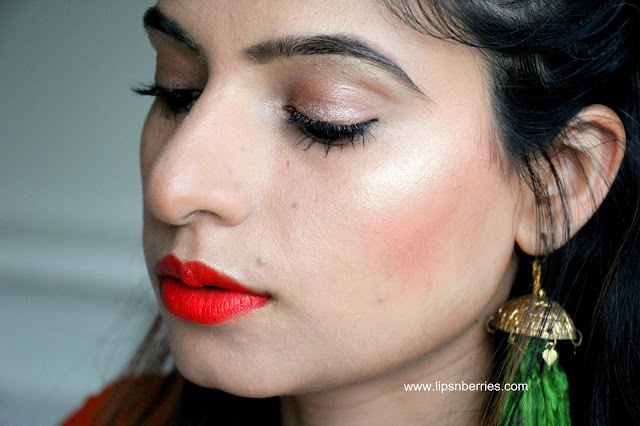 I've used this highlighter in many of my recent looks and find that it works great with warm makeup. 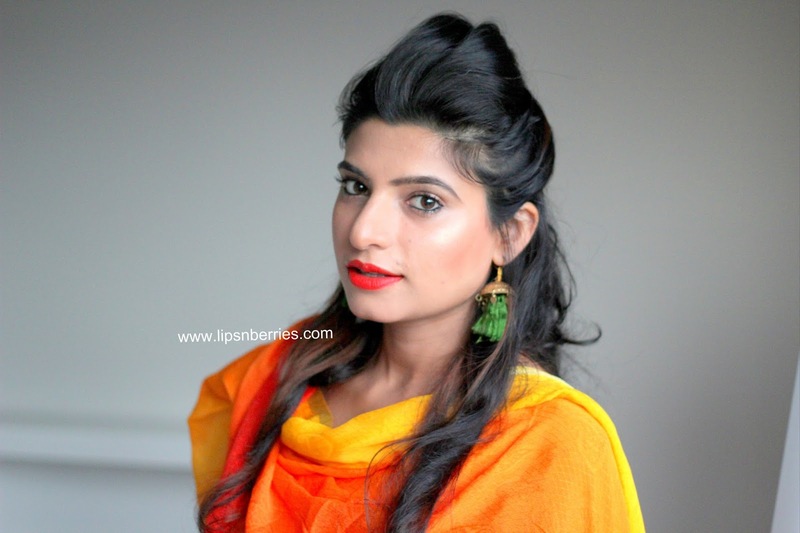 Bronzey and Golden looks with Red or orange lips work the best with it as it accentuates the warmth. I tend to use my other firm favorite TheBalm Mary-Lou Manizer for looks that are cool, silvery or pink in nature. 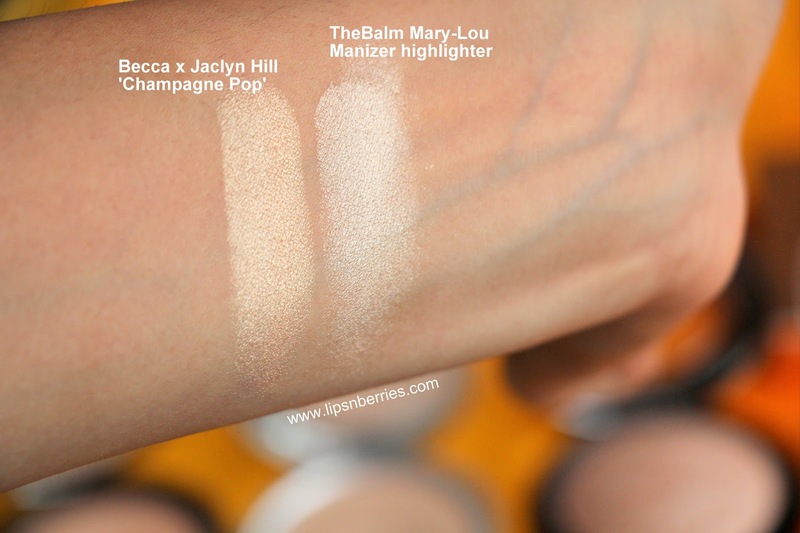 I'd consider Mary Lou to be still a little more universal than Champagne Pop as it has less color to it. 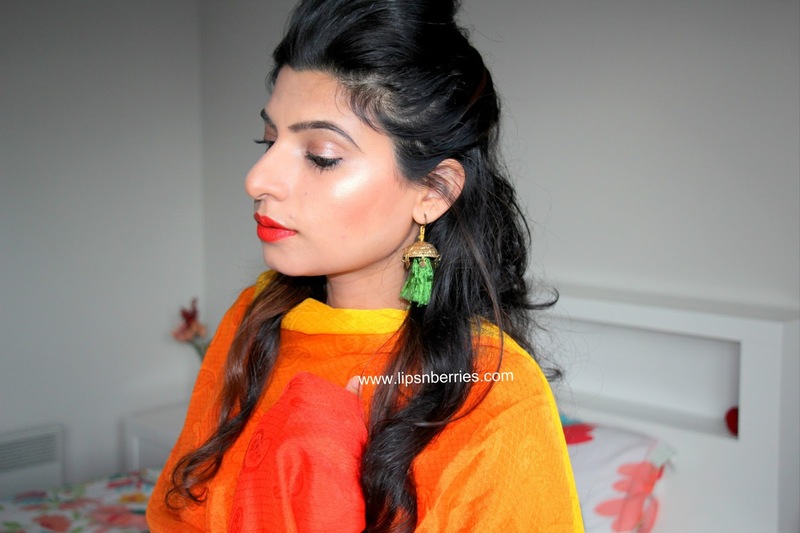 If you are on budget, MUA's Undress Your Skin Highlighting Powder in 'Iridescent Gold' is a godsend! Only a few pounds and so so good! You can purchase this highlighter from Makeup.co.nz ($69, OOS) here in NZ or Sephora NZ ($78) online. Becca is stocked in Sephora stores as well. 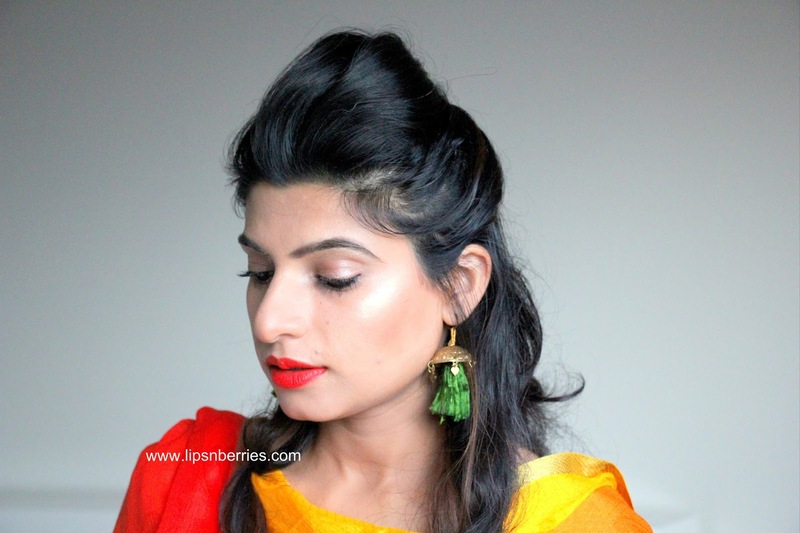 I 100% recommend it for Indian and ethnic skin's. You just have to be a lil careful to avoid over-doing it as there's every possibility of looking like a disco ball with this powder.